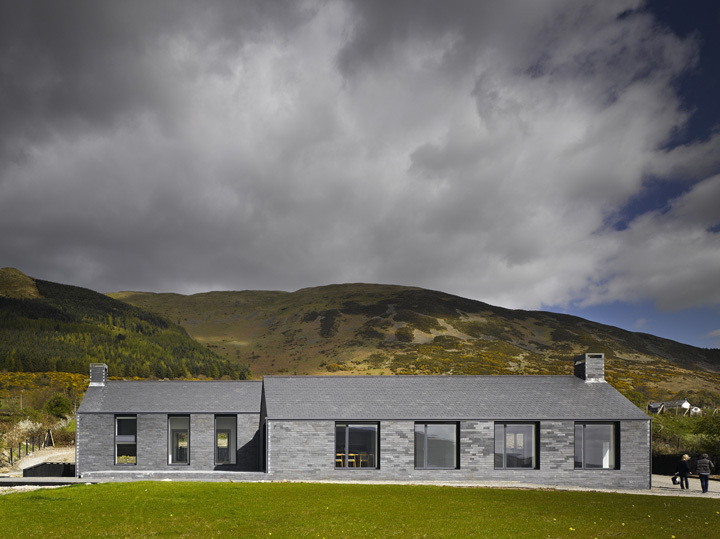 The house sits on a hillside above a fjord, Carlingford Lough, a deep sea inlet set amidst the dramatic, igneous landscape between the Mourne and Cooley mountains. The local landscape is characterised by distinct and ancient features, cairns, standing stones; and the Cloughmore Stone – a giant glacial erratic. The house takes the form of two narrow pitched roofed elements. 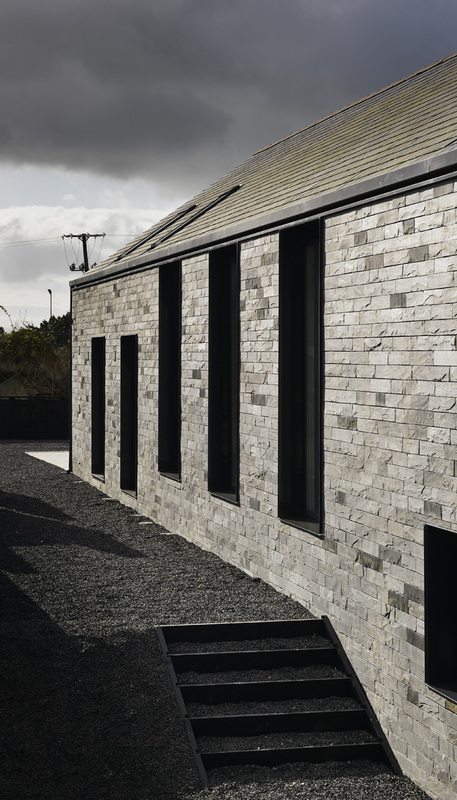 The rear block is organised as a bedroom wing while, to the fore, living spaces spread across the block’s frontage to address views over the Lough and mountains through a row of four windows. View of rear facade with ground level change and steps. Killowen House, Rostrevor, United Kingdom. Architect: Hall McKnight Architects, 2014. View of South facade showing full elevation. Killowen House, Rostrevor, United Kingdom. 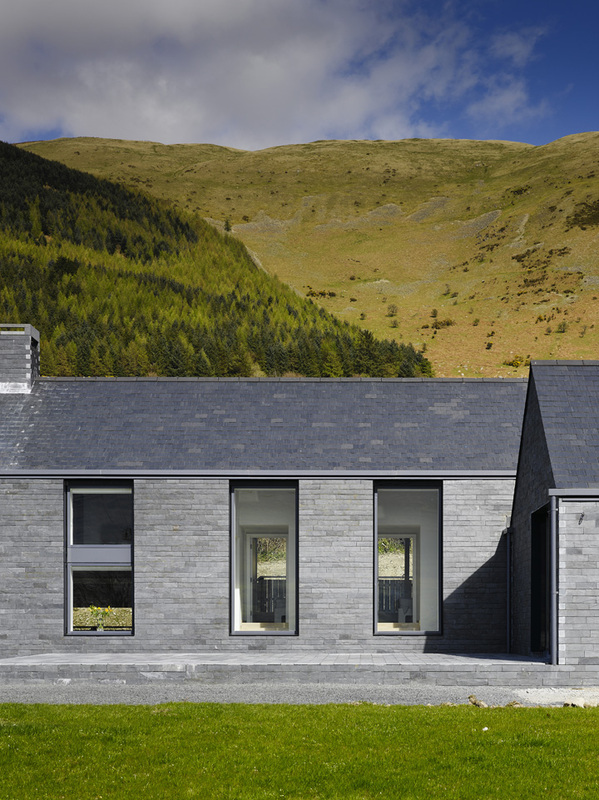 Architect: Hall McKnight Architects, 2014. View of South facade with bedroom block and Mourne Mountains in background. Killowen House, Rostrevor, United Kingdom. Architect: Hall McKnight Architects, 2014.